American west-coast jazz label founded in Los Angeles, California in 1955 and owned by Robert Scherman. Starting in 1958, the label started to release recordings that were owned by Alco Research And Engineering, Co., including some previously released on Motif Records (2), Dig Records, Rave Records (6), and Exclusive Records (6). In 1965 the label took over Mode Records's complete catalog of unreleased albums, and issued them under the Tampa label. 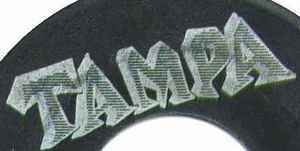 Some of the label's releases were later reissued by V.S.O.P. Records.